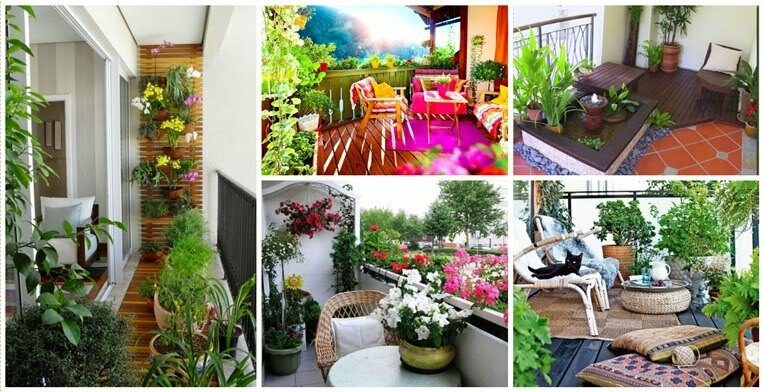 For those of us that live in a small apartment or a house that doesn’t have much yard space, there’s just no way there will ever be room for a proper garden. 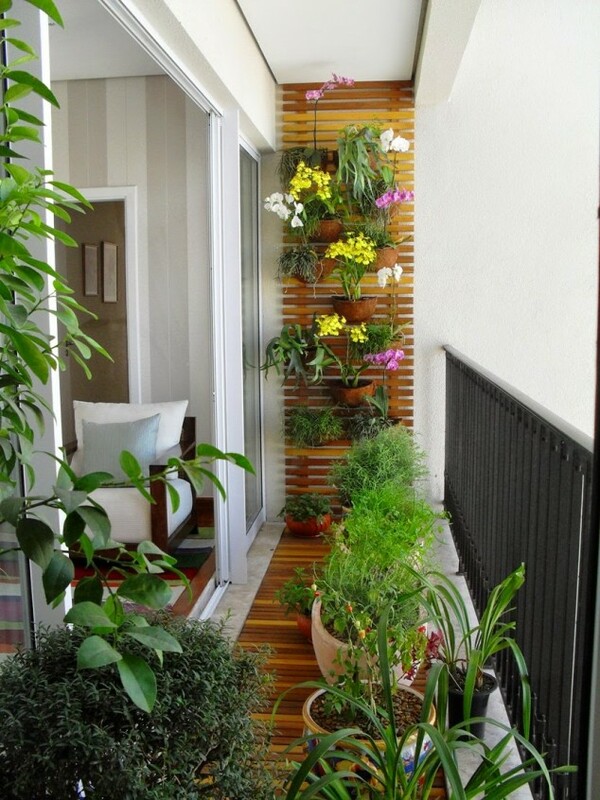 Even though the balcony might not offer much space, you can use that space innovatively to use the area you do have. 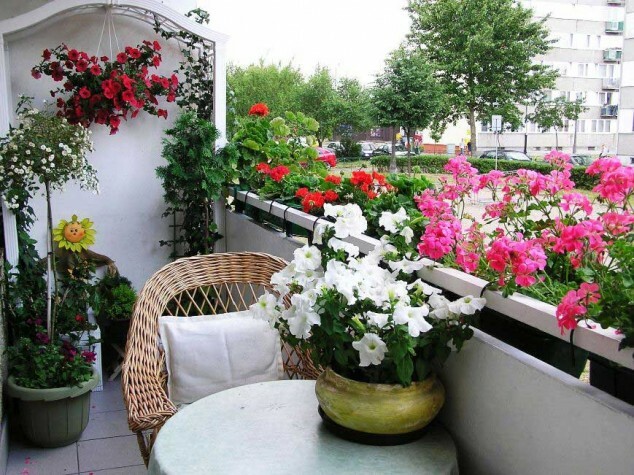 These 15 awesome mini gardens will even make people with big yards jealous when they see them. 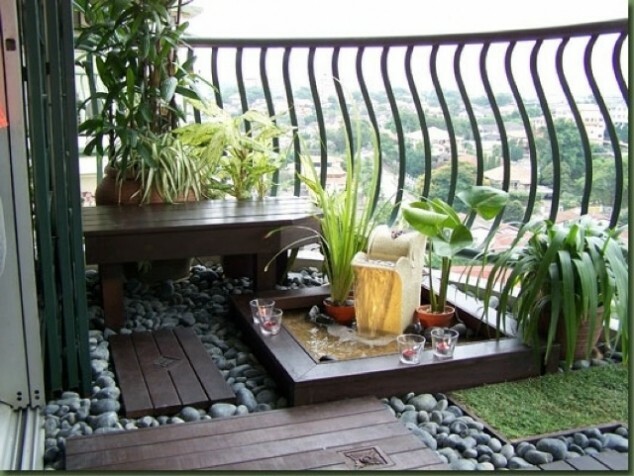 Balconies offer a great space for fresh air, relaxation, and now plants. 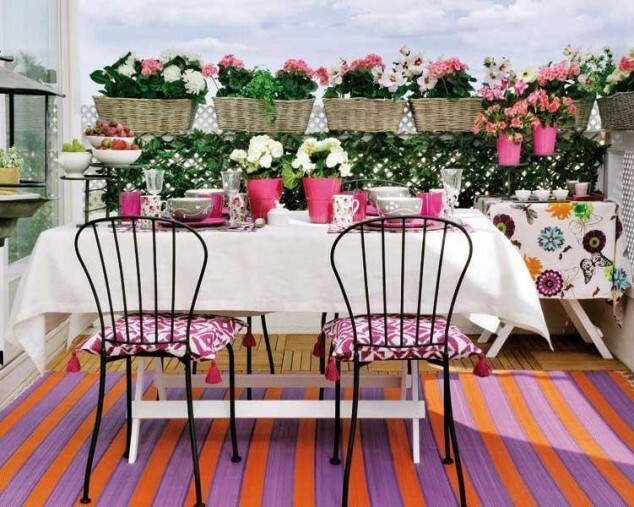 Place some planters on a shelf to create a window seat full of life. 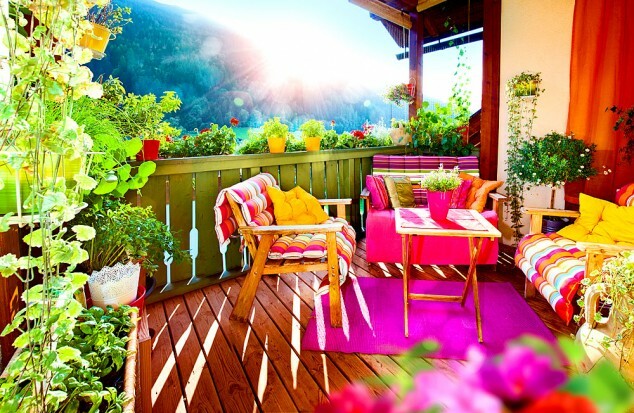 A small garden will bring life and a real sense of beauty to the space. 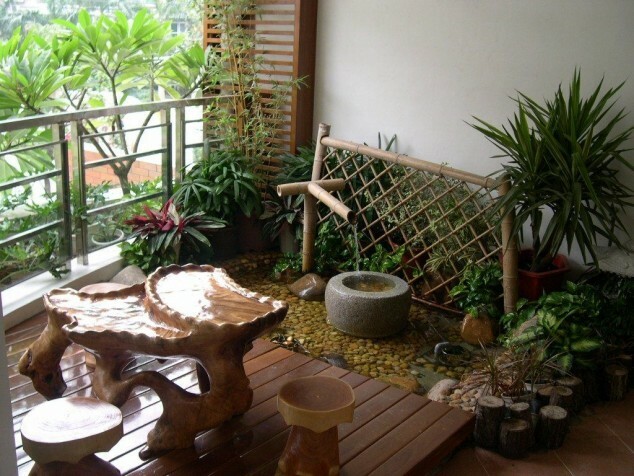 It can transform your balcony into a total place of relaxation. Plus, you still have a fantastic view. 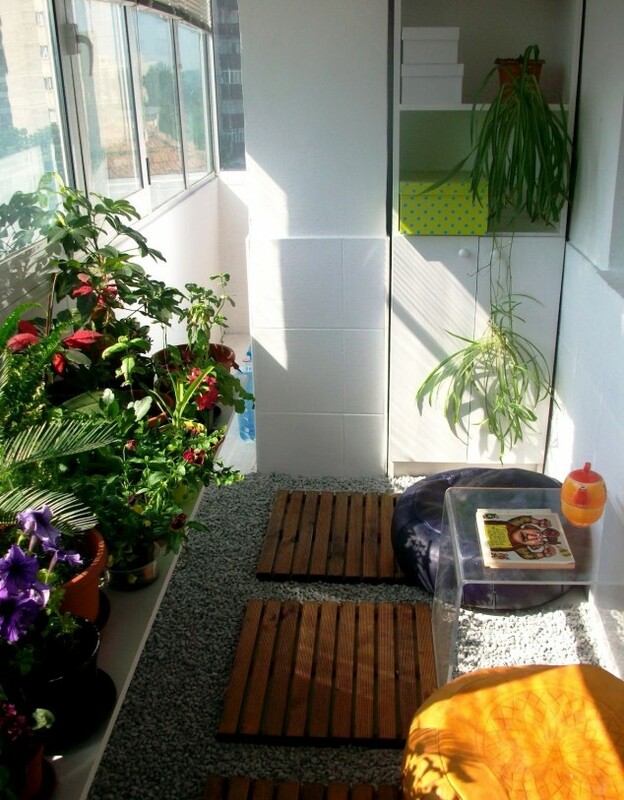 Your mini garden can even offer some privacy while you’re enjoying the weather. You can even add some water into the mix, creating a great focal point. 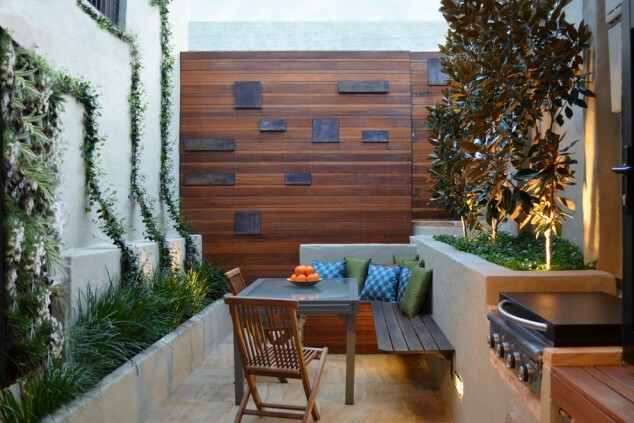 Even with lightweight outdoor furniture, you can create a cozy, small seating area. 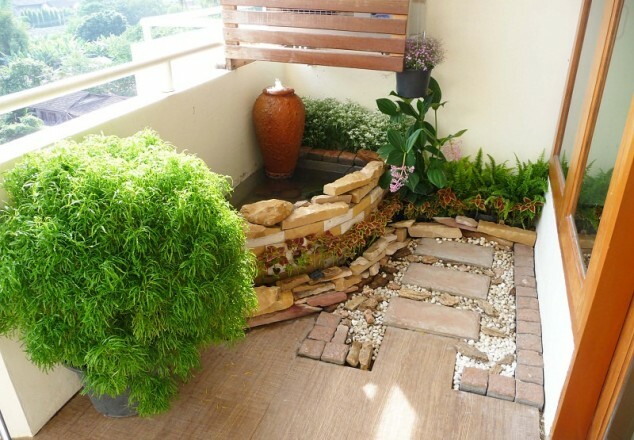 Combining a small pond with some plants, and awesome pebble flooring to really modify and own your space. 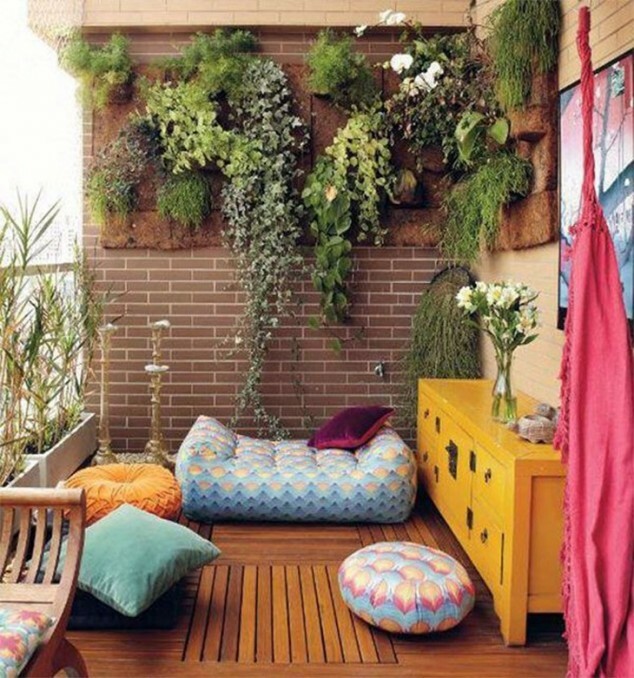 Plants can really make the space feel homey. Simply placing comfy cushions on the floor provides seating and is easy to move around or store. 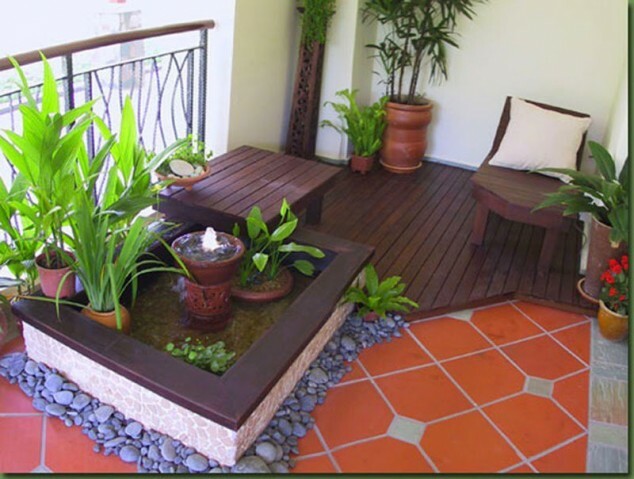 Wood flooring just fits so nicely with the green of the plants to create a natural look. 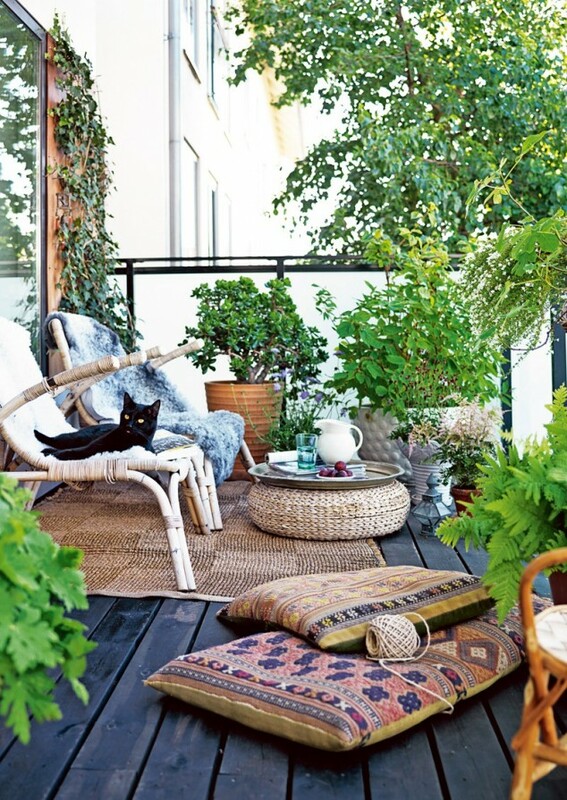 Plus, you can add some fake grass carpeting to bring out some more of the green hues. You can hang planters directly on the wall. 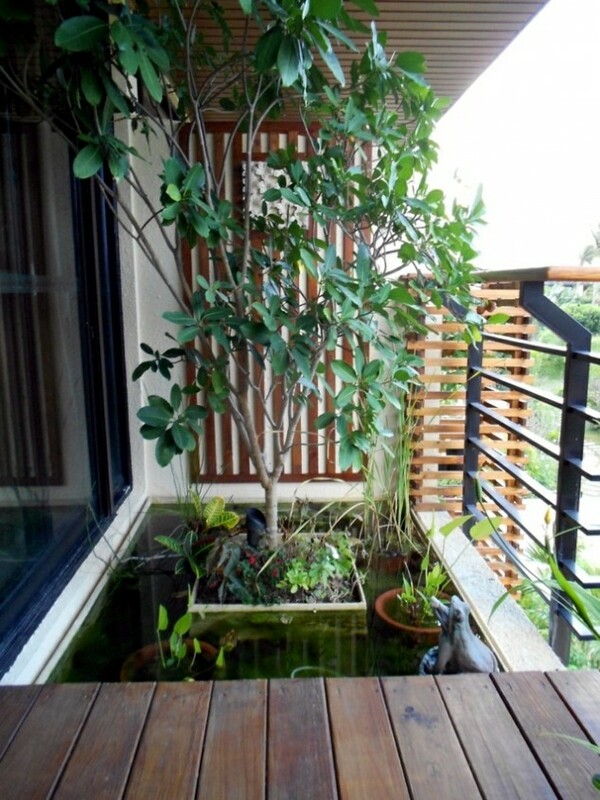 Or turn the balcony into your own little pond. 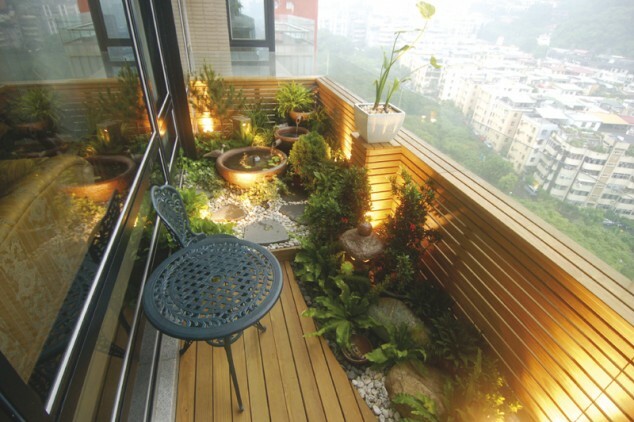 Add some lights to the garden to really make it sparkle. 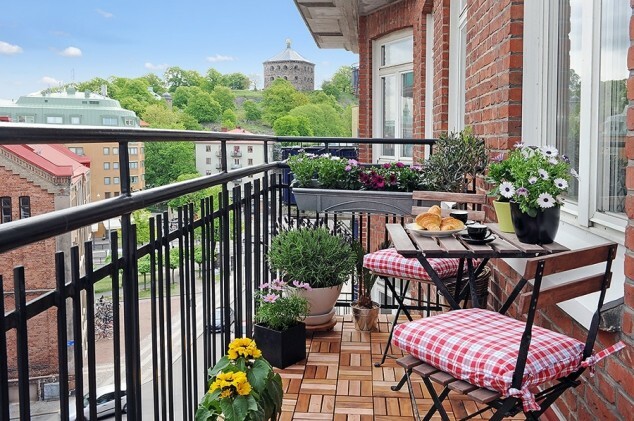 You can even combine a mixture of all these ideas to really get the most out of your balcony, even if it is small.